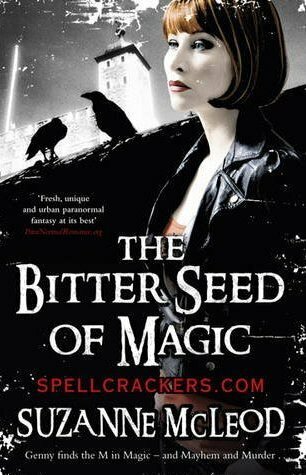 If you’re excited about the Spellcrackers books and want to tell everyone how much you love them (and if you do, then thank you, I *love * you too, and You Rock! ), then come and join the Clan. It’s a Street Team and a newsletter group. Members will be the first to hear news about releases, covers, signings, and will get early peaks at first chapters, and anything else to do with the books. There will also be exclusive excerpts, special Clan contests, Clan only draws for ARCs (Advance Reader Copies), other stuff (what, you want specifics? Be patient and they'll come in the newsletters :-) ), and maybe even some short stories*. What can you do as a Clan member? Talk about the books. Recommend them to your friends (lend them your copy, or get them to borrow the books from their local library; hopefully if they love them too, they’ll buy their own :-)). Or buy the books as presents for friends and relatives who love reading. Write reviews (honest ones, please) and post them on your blog; and on any of the online bookstores; and on the book catalogue sites. Blog about the books. Tweet about them. Chat about the books on online bookstore or readers’ forums/library sites you’re a member of. 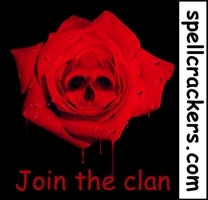 Copy the Spellcrackers.com Clan badge and display it on your website or blog to help spread the word. So, now you're ready to join the Spellcrackers Clan. Right? Thank you, and you’ll start receiving information as soon as it’s available, and don’t worry, newsletters will be short and sweet, and around 3 – 4 times a year. Email addresses will not be used for any other purpose, and you can leave the Clan at any time by using the button below. *I’m not making any promises about short stories because sadly I write sooooo slow *sigh*, but if it happens members will be the first to read all about it :-). The 'Skull Rose' image used in the Clan badge is copyrighted to Aaron Fulcher and gratefully used with his permission as part of the badge for display on any website/blog etc. Please don't use the 'Skull Rose' part for any other purpose, thank you. See the original art here on Aaron's Deviant Art page. See Arron's gallery (full of very cool images) on Deviant Art. Check out Hardnox Clothing - Aaron's online store featuring his designs on T-shirts and more. Grateful thanks also go to Jeri Smith-Ready (who's got her own fantastic StreetTeam) and Stacia Kane (who has the *Terrible* Downside Army), whose ideas I have shamelessly filched in putting together the Spellcrackers Clan. 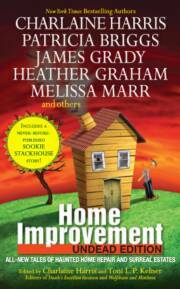 Jeri and Stacia are two of my favourite authors (go buy their books! You'll love them) and they're also two very cool, together ladies. <img src="http://www.spellcrackers.com/clan_member_bbs.jpg" border="0" width="208" height="200"